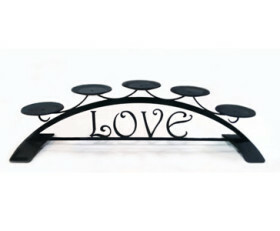 Make any area romantic with these table top pillar candle holders. 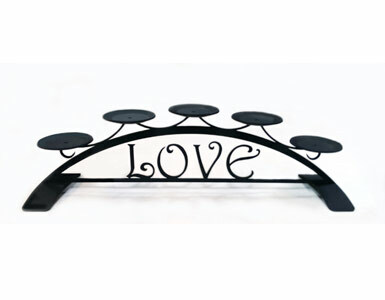 These solid wrought iron tabletop candle holders feature the word “Love” on top and are perfect for any romantic occassion plus they can hold five 2 inch pillar candles. These solid wrought iron candle holders are created in central New York, add a touch of old world style to your home with this solid piece of artistic splendor. Note: Candles not included.